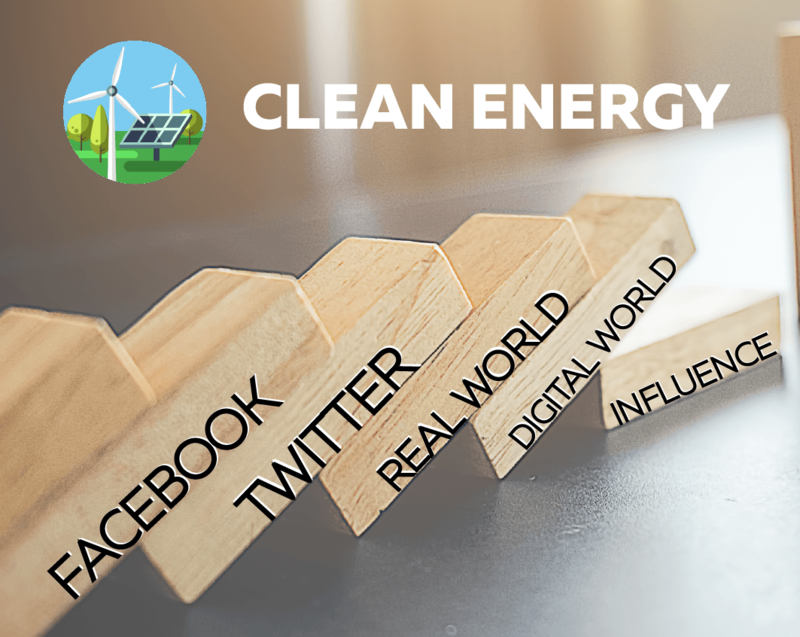 Renewable energy providers can boost their influence on clean energy policy through the strategic use of social media, their most powerful communication tool. As in all policy decisions, the move toward sustainable energy should begin with consensus at the grassroots level. That’s what makes social media so valuable in this space; it engages directly with constituents, building a groundswell of environmental knowledge and action that lawmakers cannot ignore. So how should you structure a social media campaign that educates, influences, and inspires citizens to back clean energy legislation wherever it’s introduced? Or, even better, to ask their representatives to draft such policies? Step two is an information-gathering mission: Identify the barriers that prevent community members from supporting that carbon-emission law. Perhaps they’re being told it will stifle business. Maybe they simply don’t know how carbon fuels are affecting their day-to-day lives, so the issue is not a priority. While you uncover these barriers, list the benefits of taking action. In this example, a “yes” vote leads to a safer, cheaper, more-sustainable electric grid. Social media helps you conduct the research involved in step two. These channels allow you to seek responses directly from your target audience, combining the strengths of focus groups and large-scale surveys with real-time reporting. During step three, it’s time to create a distinct strategy that simultaneously removes barriers to action and emphasizes the benefits. This is when you choose the behavior-influencing strategy that works best for your particular campaign. In our example, you might start by spreading fact-based messaging about how the local clean energy initiative will improve air quality. Emphasize the benefits. Next, you might ask residents to publicly commit to a “yes” vote, and send cheerful prompts reminding everyone to visit the ballots as voting day approaches. Whatever the ‘ask’, make certain that it is both easy to perform and measurable. No matter which communications strategy you choose, be sure to respond to any and all social media comments — even the negative ones. Responsive messaging is powerful messaging. Once you have your plan in place, it’s time for testing. This is one of the great strengths of social media. Its effects are measurable. In step four, the CBSM model suggests running a pilot program on a small sample of your audience. This also allows you to test different strategies against one another. The fifth and final step of the CBSM model is to implement your outreach strategy on a broad scale — and, crucially, to collect data about the campaigns effectiveness. Social media makes this easier than ever. You might find that tweets about remembering to vote receive less engagement than a sponsored post from a well-respected local resident. Or you might find the opposite. Either way, this information is always valuable for future projects. Of course, the CBSM approach is only one method of using social media to systematically influence public policy on clean energy. The advantages of mass two-way communication are always developing. And this is not to say that social media will be your only channel of outreach; there’s a lot to be said for traditional mailers and advertising, too. But if you want to change clean energy policy in any community, the first step is to get the public on your side. Social media is the ideal communications technology for the job.